The following article describes the steps to be taken to copy and rename a plan. 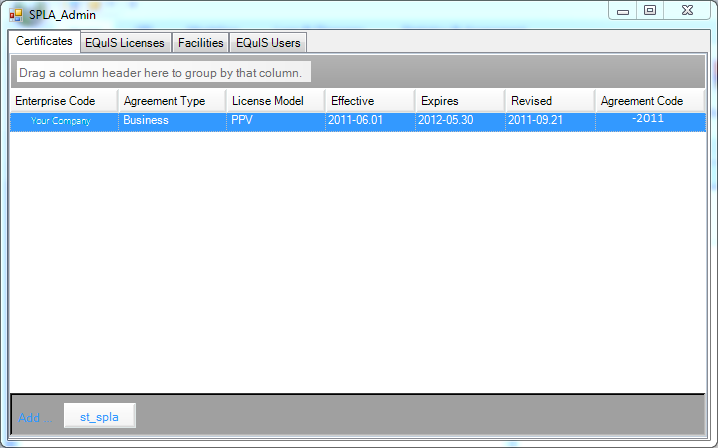 1.Click SPM Application menu, and then click 'Rename Plan'. Alternatively, when there are no plans or there is no open plan, click Rename Existing Plan' on the SPM welcome screen. Buttons will be disabled if there are no available plans. 2.If there is no currently open plan, a list of available plans for the current facility will be shown. Select a plan from the list provided and click 'Rename'. 3.A new form will be shown, allowing the user to enter a new plan code. Enter new plan code and click 'Rename'. Note that the plan code must be unique in the database. 4.After Rename has been clicked, SPM will verify whether or not the new plan code is unique. If it is, the plan will be renamed and the first message below will display. If it is not unique, either the second or third message below will appear, depending on the reason it is non-unique. Entered new plan code is the same as existing value. SPM ignores character casing when comparing plan code values. Enter a different code and try again. To correct character casing error in a plan code, rename the plan to a unique different value, then again to a corrected value with proper character casing. A plan with entered code already exists. 5.If a currently opened plan was renamed, SPM will reopen it. 6.If a currently opened plan was renamed, SPM will reopen it. 7.Read Copy an Existing Plan to copy a plan.